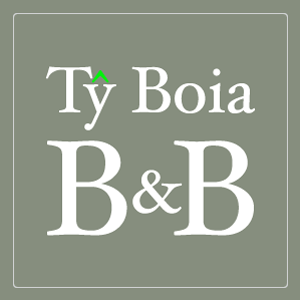 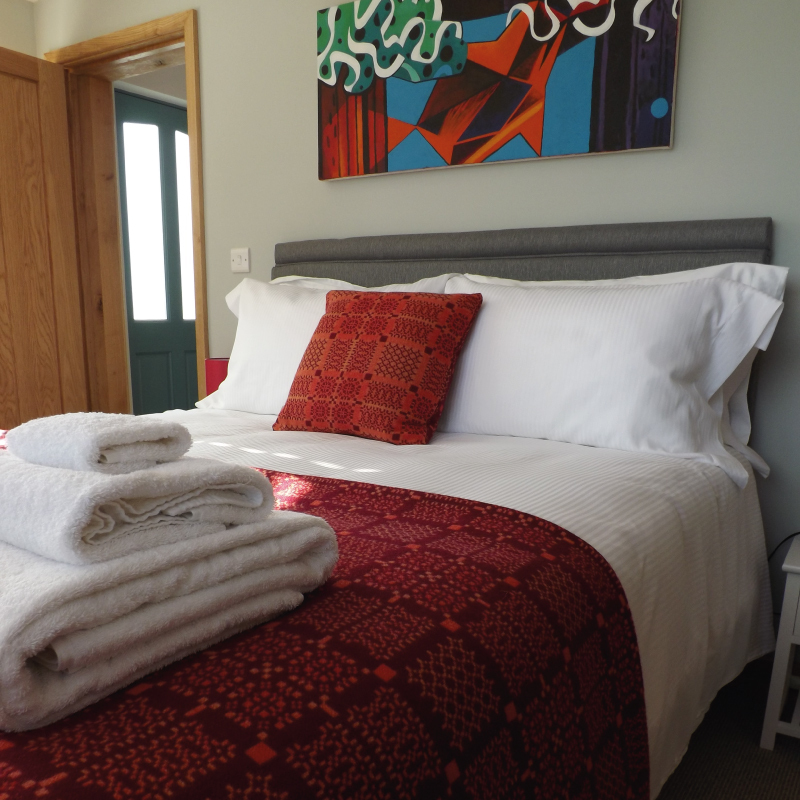 With four bespoke rooms, each containing their own luxury en-suite, cosy beds with fine bedlinen and Melin Tregwynt woollen fabrics, local artwork and the usual amenities (towels, toiletries, refreshments, tv, wi-fi), we have endeavoured to create a calm, contemporary and comfortable place for you to enjoy a fulfilling and relaxing stay. 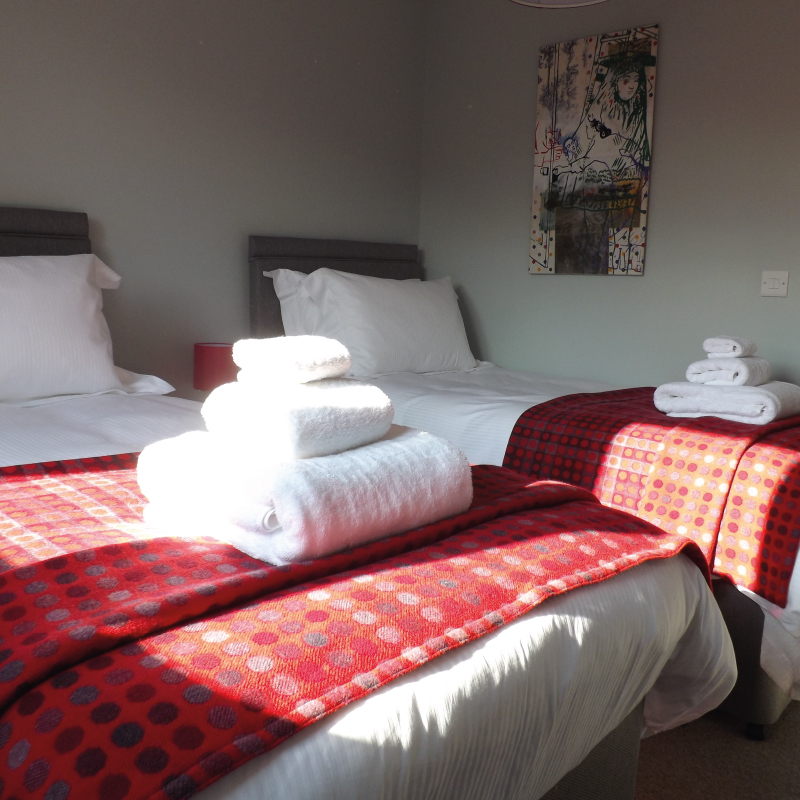 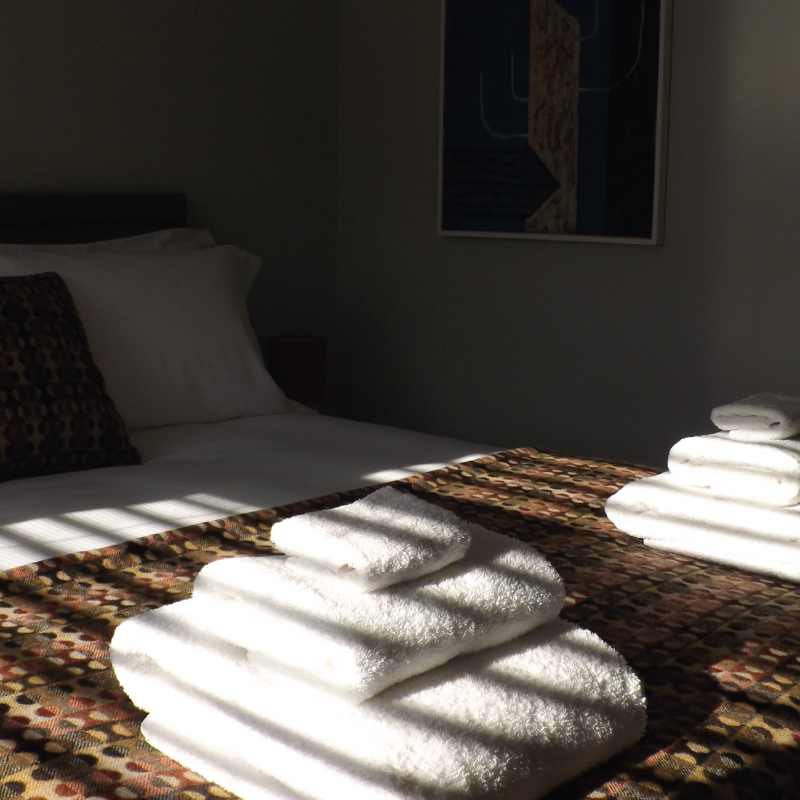 Two of the bedrooms are downstairs which is good for those with weary feet to rest up in their king size beds. 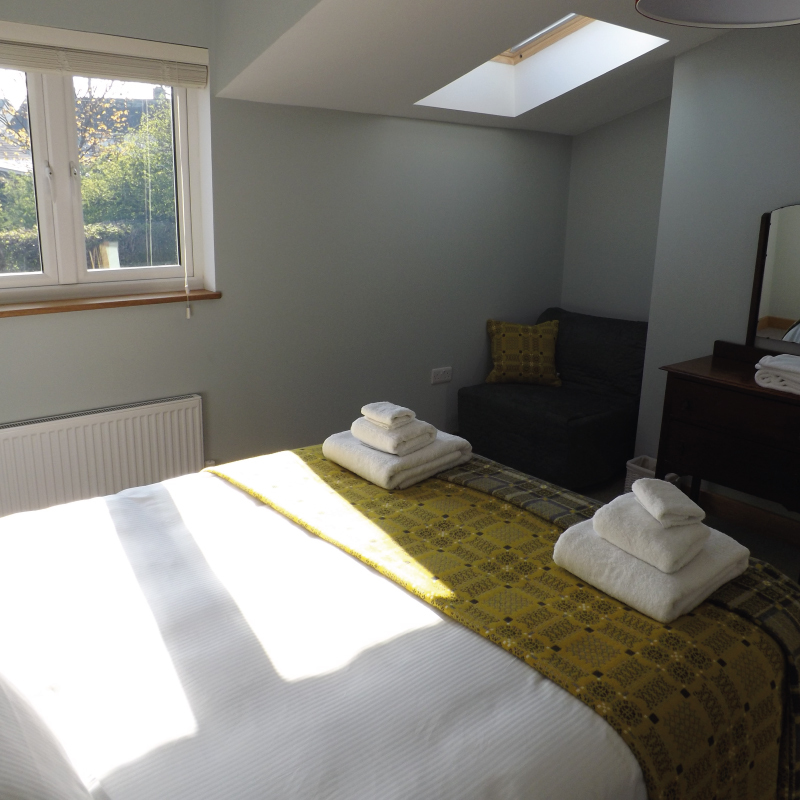 Upstairs we have one bedroom with two single beds (which can be adapted to a superking) and the other is a larger room with a king size bed which would be good for a young family as it also has two single sofa beds, room for a cot and the en-suite has a bath.